Top Rated Local® is pleased to announce that Las Cruces Dental Solutions is an award winner for dentists in 2019. Las Cruces Dental Solutions is working towards making each smile better, one tooth at a time. For all of your dental needs in Cas Cruces, give them a call! Las Cruces Dental Solutions has received hundreds of overwhelmingly positive reviews across three verified sites with an average rating of 4.78 stars, earning them an impressive Rating Score™ of 93.82 and a 2019 Top Rated Local award for ranking as one of the top 10 dentists in New Mexico! “I have a lot to say about this dental office, but I’ll be brief. I am the biggest coward when it comes to going to the dentist. I’m so glad their friendly and professional personnel cater to people like me. Most of all, I appreciate very much [that] they explain the billing before [you] end up with a bill in [your] pocket… Thank you, LC Dental Solutions. I am a very satisfied customer, and [will] see you guys in six months.” – C.B. It is because of excellent reviews like this that Las Cruces Dental Solutions is now able to call themselves a Top Rated Local award winner! We were excited to learn all about how Las Cruces Dental Solutions has been able to build such an impressive reputation, so we sat down with the Treatment Coordinator, Acacia Quinlan. Acacia shared that they understand that going to the dentist can be a difficult experience for some people, so it is important that they try to connect with every one of their patients. At the end of the day, their mission is to be advocates for their patients. 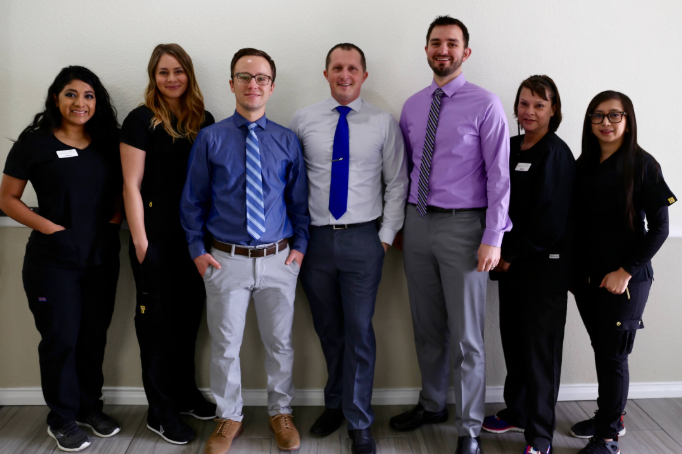 According to Acacia, Las Cruces Dental Solutions is a happy practice, and that sentiment is certainly reflected in the many reviews left by clients who felt comforted and cared for here. We were curious about what kinds of marketing strategies they have utilized over the years. Acacia told us that they are beginning to step into the world of social media platforms, and are finding it a lot of fun to work with different Snapchat filters. They have also been proud of the work they have done in their community. During a recent government shutdown, their staff decided to support their community by handing out food to those in need. Congratulations to Las Cruces Dental Solutions for being a 2019 Top Rated Local award winner, and special thanks to Acacia for taking the time to speak with us! Top Rated Local® is pleased to announce that BeeHive Homes of Four Hills is a 2019 award winner for senior living communities in New Mexico! 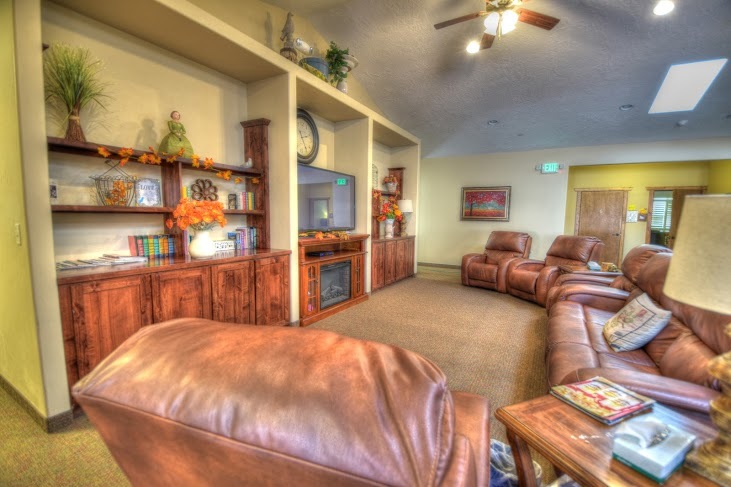 For premiere assisted senior living in Albuquerque, New Mexico, we suggest visiting with BeeHive Homes of Four Hills. BeeHive Homes of Four Hills has received many reviews on four sites with an average rating of 4.89 stars, earning them an incredible Rating Score™ of 86.94 and a 2019 Top Rated Local award for ranking among the top 10 senior living communities in all of New Mexico! “[I give them] five-stars. [I] very highly recommend [them]! Elena Galicia pours her whole heart into her work and her residents. She truly loves them like her own family and even goes by to visit them on her days off. There’s not a better home anywhere than the one where she’s working.” -Damiano M.
We wanted to learn a little more about this award-winning business and its impressive online reputation, so we took a few minutes to talk with Elena Galicia, the health manager at BeeHive Homes of Four Hills. Outside of building a powerful online reputation, BeeHive Homes of Four Hills has gotten their name out there through television commercials, but mostly word of mouth. Congratulations to the team at BeeHive Homes of Four Hills for being a 2019 Top Rated Local award winner, and thank you so much, Elena, for taking the time to speak with us! Visit their website here! Top Rated Local® is pleased to announce that Power Of Touch Massage Therapy is a 2019 award winner for massage therapists in New Mexico! For a next-level massage in Albuquerque, there’s no better option than Power Of Touch Massage Therapy. Power Of Touch Massage Therapy has received dozens of reviews on three verified sites with an average rating of 4.91 stars, earning them a phenomenal Rating Score™ of 96.08 and a 2019 Top Rated Local award for ranking among the top 10 massage therapists in New Mexico! 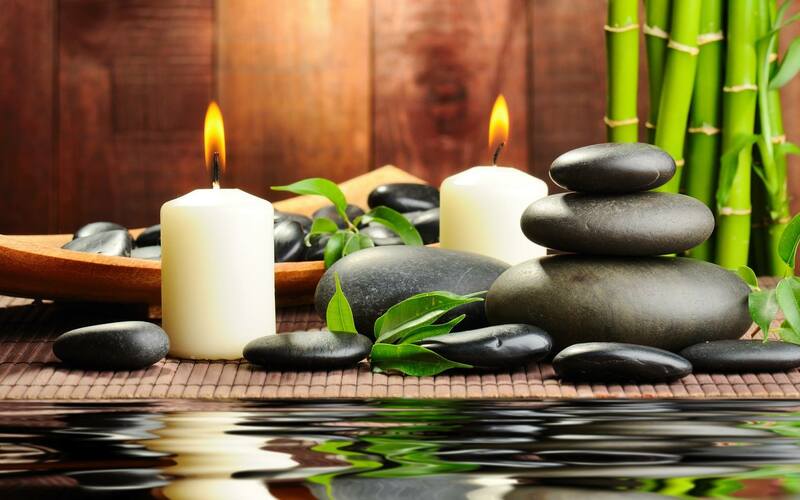 “I have traveled the world and can honestly say that I have never received a better massage. Justin is well-versed in a variety of techniques, including Thai and QiGong massage (my personal favorite). He personalizes each treatment to meet my needs. He is professional and has such a warm, friendly manner that immediately set me at ease. I always try to send company from out of town to Justin, but book in advance, as he is justifiably very busy!” – Brandi R.
Justin Meyer, the owner of Power Of Touch Massage Therapy, generously gave us a few minutes of his time to tell us a little more about his business and it’s stand-out online reputation. Justin credits Power Of Touch Massage Therapy’s strong online reputation to his commitment to being a good massage therapy, listening to his clients’ needs and wants, and helping them. Congratulations to the team at Power Of Touch Massage Therapy for being a 2019 Top Rated Local award winner, and thank you so much, Justin, for taking the time to speak with us! We highly recommend Power Of Touch Massage Therapy. Visit their website today! New Mexico’s Top Rated Local® HVAC/Heating & AC Award Winner: Roadrunner Air Conditioning, Heating & Refrigeration. 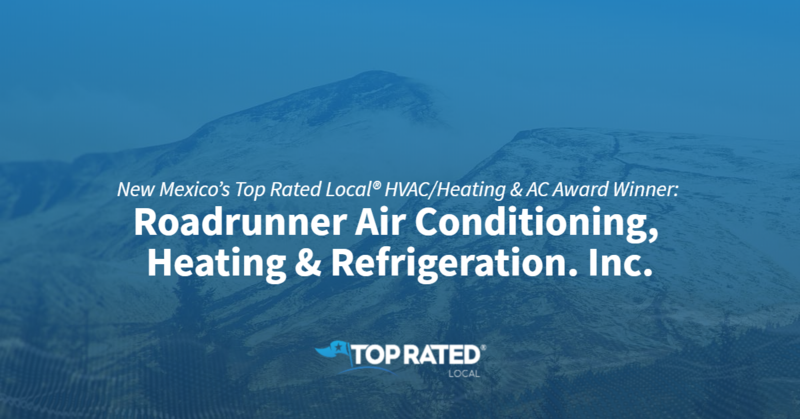 Inc.
Top Rated Local® is pleased to announce that Roadrunner Air Conditioning, Heating & Refrigeration. Inc. is a 2019 award winner for HVAC/heating & AC in New Mexico! Roadrunner Air Conditioning, Heating & Refrigeration provides reliable heating, air conditioning, plumbing, indoor air quality, and commercial services in Santa Fe, New Mexico and the surrounding areas. Roadrunner Air Conditioning, Heating & Refrigeration. Inc. has received dozens of reviews on three verified sites with an average rating of 4.40 stars, earning them an incredible Rating Score™ of 76.47 and a 2019 Top Rated Local award for ranking among the top 10 HVAC/heating & AC in all of New Mexico! “Roadrunner is Simply the Best in every aspect; from personal attention, speedy response [times for] emergencies, and troubleshooting problems. The person who answers the phone [is always] the owners and managers. We highly recommend them for all plumbing, heating, and air conditioning service and installation.” -Caren K.
We wanted to learn a little more about this award-winning business and its impressive online reputation, so we took a few minutes to talk with John Vigil, the general manager at Roadrunner Air Conditioning, Heating & Refrigeration. Inc.
Outside of building a powerful online reputation, Roadrunner Air Conditioning, Heating & Refrigeration. Inc has gotten their name out there through being active in the community and by sponsoring youth sports teams. Congratulations to the team at Roadrunner Air Conditioning, Heating & Refrigeration. Inc for being a 2019 Top Rated Local award winner, and thank you so much, John, for taking the time to speak with us! Visit their website here! 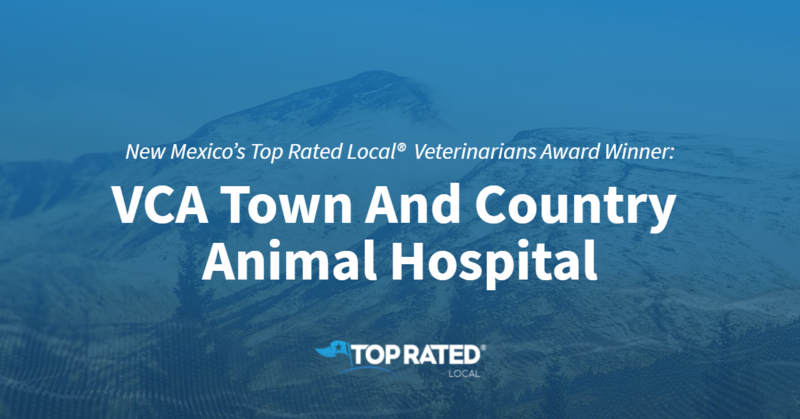 Top Rated Local® is pleased to announce that VCA Town And Country Animal Hospital is a 2019 award winner for veterinarians in New Mexico! When it comes to veterinary care in Albuquerque, you won’t find a better option than VCA Town And Country Animal Hospital. VCA Town And Country Animal Hospital has received more than 100 reviews on four verified sites with an average rating of 4.57 stars, earning them a fantastic Rating Score™ of 88.67 and a 2019 Top Rated Local award for ranking among the top 10 veterinarians in all of New Mexico! “The place is very clean. The staff is very friendly, and they love my puppy. The veterinarian was very knowledgeable and concerned about my puppy’s overall health. [They] gave me great advice about keeping my puppy well and healthy. Thank you, everyone, at VCA.” – Nora C.
We wanted to learn a little more about VCA Town And Country Animal Hospital, so we took a few minutes to talk with Javier Arguello, owner/doctor. The first question we had for Javier was what sets VCA Town And Country Animal Hospital apart from other veterinary hospitals in New Mexico. Javier points to their nice building and the great quality of care that they provide their patients. We also wanted to know what their mission is at VCA Town And Country and how they work to make the world a better place. Javier told us that the pets’ health is always their top priority, and that healthy pets lead to happy families. Javier credits VCA Town And Country Animal Hospital’s strong online reputation to their commitment to asking their clients for reviews. Outside of building a powerful online reputation, VCA Town And Country has grown by keeping Facebook up to date, attaching social media cards to invoices and participating in and giving out merchandise at events. Congratulations to the team at VCA Town And Country Animal Hospital for being a 2019 Top Rated Local award winner, and thank you so much, Javier, for taking the time to speak with us! 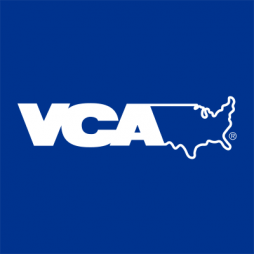 For all of your veterinary needs in Albuquerque, we highly recommend VCA Town And Country Animal Hospital. Visit their website today! 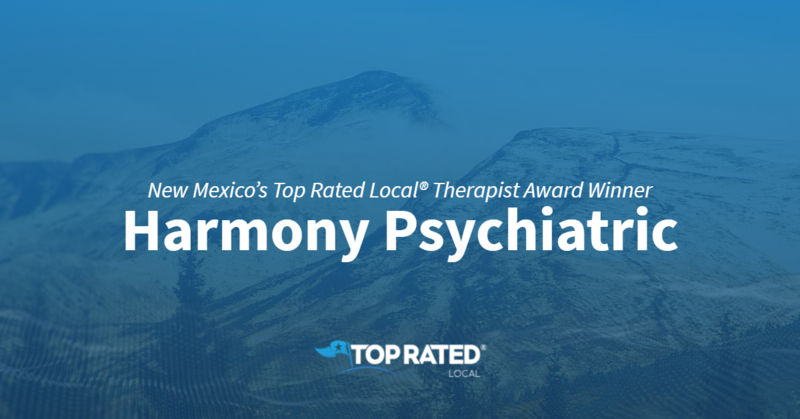 Top Rated Local® is pleased to announce that Harmony Psychiatric is a 2019 Top Rated Local award winner! 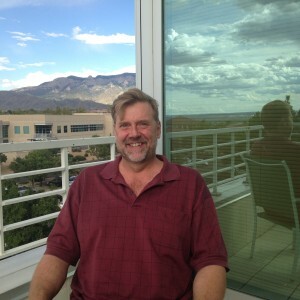 “Bryan Krumm has been my provider since I returned to New Mexico in 2009. He helped me get a more accurate diagnosis and took the time to educate instead of just medicating. He recognized my symptoms as serotonin syndrome and helped me get off of medications that were negatively impacting my weight, my kidneys, and my liver (former med provider had never done a blood panel). Compassionate, knowledgeable, and professional, all in one provider.” -B.T. Bryan Krumm of Harmony Psychiatric took some time to speak with us about his business’ incredible online reputation. Congratulations to the team at Harmony Psychiatric for being a 2019 Top Rated Local award winner, and thank you so much, Bryan, for taking the time to speak with us! Top Rated Local® is pleased to announce that Albuquerque Modern Martial Arts is not only one of the top three martial arts schools in New Mexico, but one of the top 100 businesses in the state overall! “I have had the pleasure of studying at AMMA and I have to say it was amazing! Zane and Michelle are a pleasure to work with and have a wealth of knowledge. I highly recommend Albuquerque Modern Martial Arts for all your martial arts needs.” -Jesse O.
Zane Church, sixth-degree black belt in IPP Krav Maga, first-degree black belt in Jiu Jitsu, certified Filipino Martial Arts instructor and co-owner (alongside his wife, Michelle) of Albuquerque Modern Martial Arts, took some time to speak with us about his business’ outstanding online reputation. 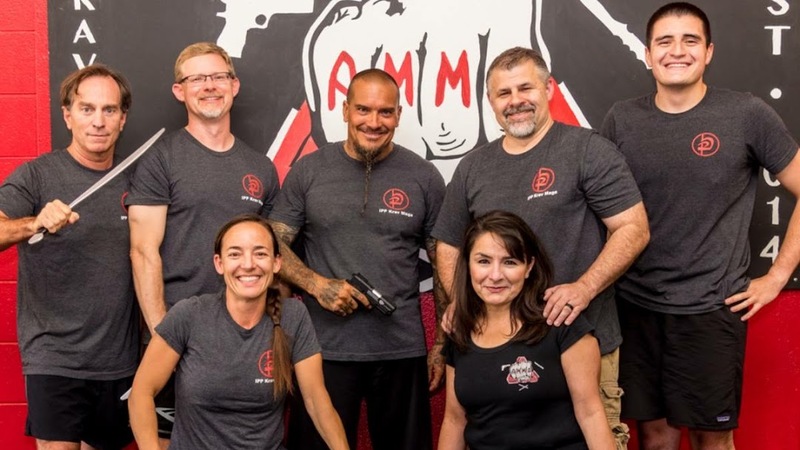 Congratulations to the team at Albuquerque Modern Martial Arts for being a 2019 Top Rated Local award winner, and thank you so much, Zane Church, for taking the time to speak with us! 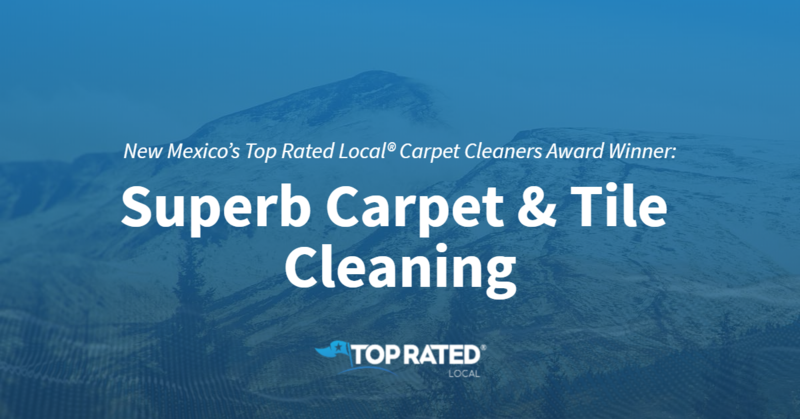 Top Rated Local® is pleased to announce that Superb Carpet & Tile Cleaning is a 2019 award winner for carpet cleaners in New Mexico! Whether you need stain removal or routine carpet cleaning, there’s no better company to turn to in Las Cruces than Superb Carpet & Tile Cleaning. Superb Carpet & Tile Cleaning has received dozens of reviews with an average rating of 5.00 stars, earning them a stupendous Rating Score of 92.000 and a 2019 Top Rated Local award for ranking among the top 10 carpet cleaners in all of New Mexico! “Alan exceeded my expectations and also saved me a lot of money. I originally was going to go with another company, but wasn’t sure on using them due to their lack of customer service. So, I called Alan and immediately changed my mind based off of his helpfulness and friendliness just over the phone. Very happy with my nice, clean carpets!” – Deanne L.
We took a few minutes to talk with Alan Hernandez, Manager/Supervisor at Superb Carpet & Tile Cleaning, to learn a little more about the business and how they managed to build such an admirable online reputation. Outside of building a powerful online reputation, Superb Carpet & Tile Cleaning has grown by putting flyers up door-to-door, by marketing on Facebook and promoting their posts and through Google Adwords, although they don’t use it much. Alan also gets Super Carpet & Tile Cleaning’s name out there and promotes their family-oriented approach to service by posting pictures of him and his family along with a list of their services. Congratulations to the team at Superb Carpet & Tile Cleaning for being a 2019 Top Rated Local award winner, and thank you so much, Alan, for taking the time to speak with us! When you need carpet cleaning services you can rely on in Las Cruces, we highly recommend Superb Carpet & Tile Cleaning. Visit their website today! 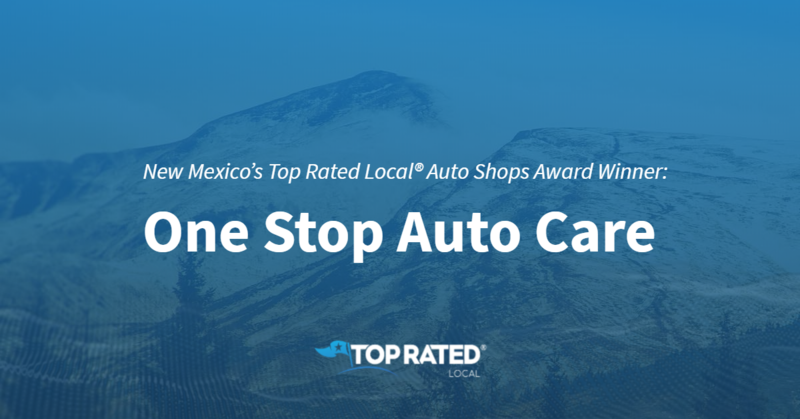 Top Rated Local® is pleased to announce that One Stop Auto Care is a 2019 award winner for auto shops in the state of New Mexico! If you are having any vehicle issues and need a trustworthy and professional auto shop, look no further than the team at One Stop Auto Care in Albuquerque. One Stop Auto Care has over 80 ratings on 3 verified sites with an average star rating of 4.60 stars earning them a incredible Rating Score™ of 86.96 and a 2019 Top Rated Local award for being one of the top 10 auto shops in the entire state of New Mexico. “I was very pleased with my service. One Stop Auto Care was quick, very knowledgeable and very professional auto shop. I brought my car in for inspection to see if they found same problem as a dealership had told me. They found a small part of the same problem, and found another thing the dealer had missed. They saved me a fair amount of money and performed the work in a very quick and professional manner. I would recommend One Stop Auto Care to anyone.” – Ray T.
We wanted to find out some inside information regarding One Stop Auto Care’s stellar reputation, so we sat down with the owner of the business, Kim Ramos. On top of the unique customer relationships, One Stop Auto Care also boasts some rare services that many of their competitors can’t match. For example, they perform comprehensive oil analysis on site to test for metal and contaminants. They are the only shop in the entire state with the lab in the building, which cuts down on testing time dramatically. Outside of their strong reputation, Kim understands that the business must also grow through other avenues such as digital marketing on Facebook and Google. She told us that they emphasize the digital aspect of marketing because they have found many customers will just throw away print mailers. Congratulations to the team at One Stop Auto Care for being a 2019 Top Rated Local award winner! 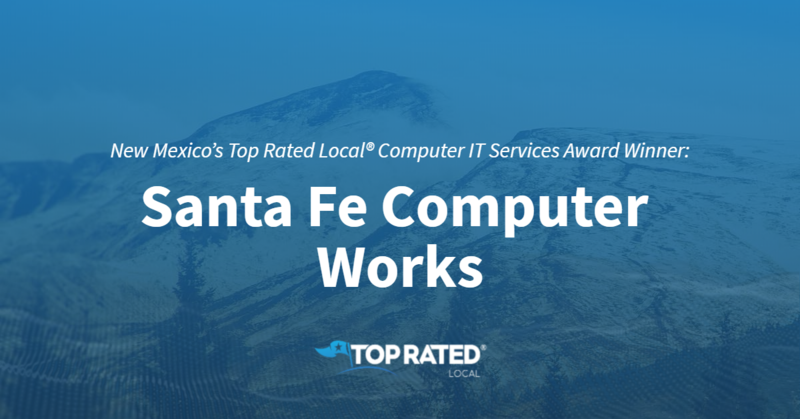 Top Rated Local® is pleased to announce that Santa Fe Computer Works is a 2019 award winner for computer IT services in New Mexico! When you need computer repair you can rely on in Santa Fe, you need Santa Fe Computer Works. Santa Fe Computer Works has received dozens of reviews on three verified sites with an average rating of 4.66 stars, earning them a spectacular Rating Score™ of 90.63 and a 2019 Top Rated Local award for ranking among the top 10 computer IT service providers in all of New Mexico! “Amazing customer service! [This is a] small, mom-and-pop shop run by a husband and wife. I visited from out of town and was in need for an a/c adapter for my laptop because the old cable shorted out. This guy gave me the best deal he could, and I was out the door in minutes and back to surfing on my laptop in no time. [This shop] definitely sets the standard for the way mom-and-pop computer shops should be run.” – N.R. We took a few minutes to talk with Nelson, the owner of Santa Fe Computer Works, to learn a little more about the business and how they managed to build such an impressive online reputation. Outside of building a powerful online reputation, Santa Fe Computer Works has grown mostly through word of mouth. 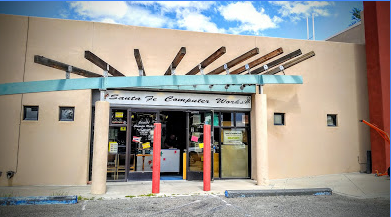 Congratulations to the team at Santa Fe Computer Works for being a 2019 Top Rated Local award winner, and thank you so much, Nelson, for taking the time to speak with us! For all of your computer repair needs in New Mexico, we highly recommend Santa Fe Computer Works. Visit their website today.